Rodtang “The Iron Man” (252-40-10) Jitmuangnon is one of the most exciting athletes competing in Muay Thai today. 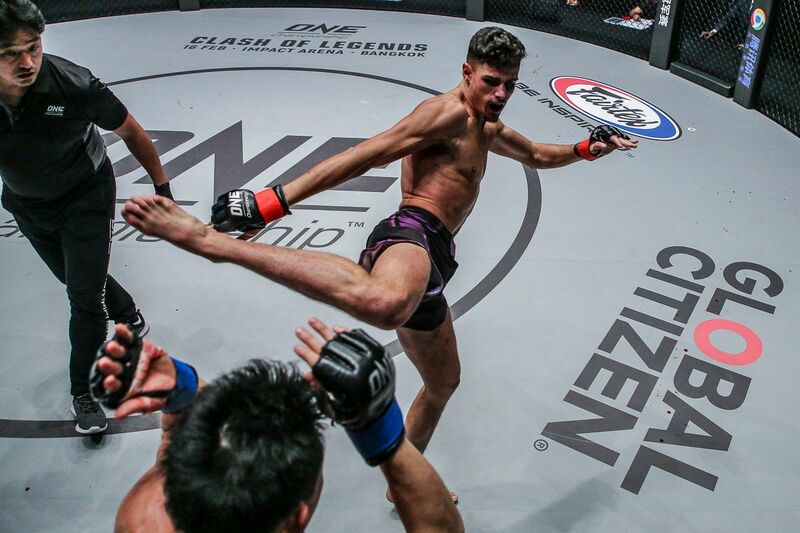 The 21-year-old is already a two-time Omnoi Stadium Champion, and now, he has set his sights on success in ONE Championship. 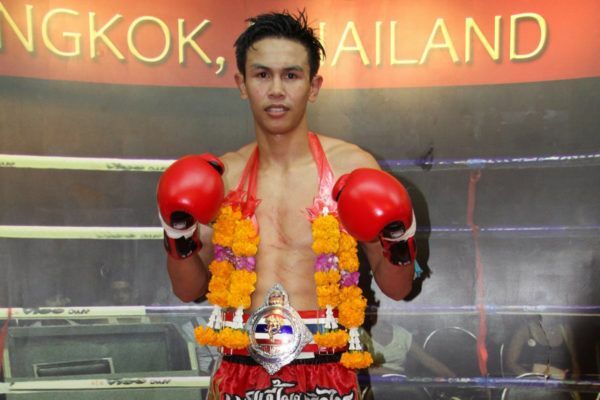 He will make his highly anticipated ONE Super Series debut on Saturday, 22 September. 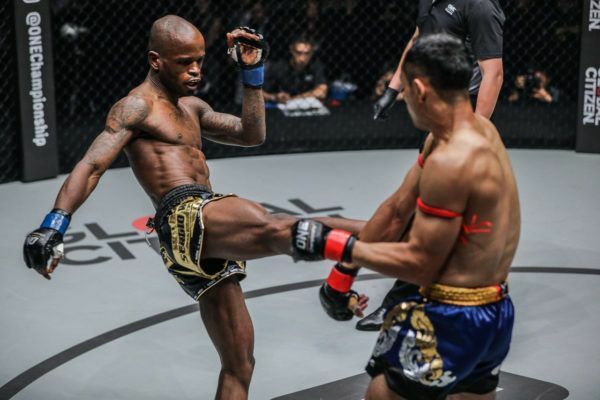 Rodtang is slated to meet two-time W5 World Champion Sergio “Samurai” Wielzen (46-19-2) in a flyweight bout at ONE: CONQUEST OF HEROES, which takes place at the Jakarta Convention Center in Indonesia. 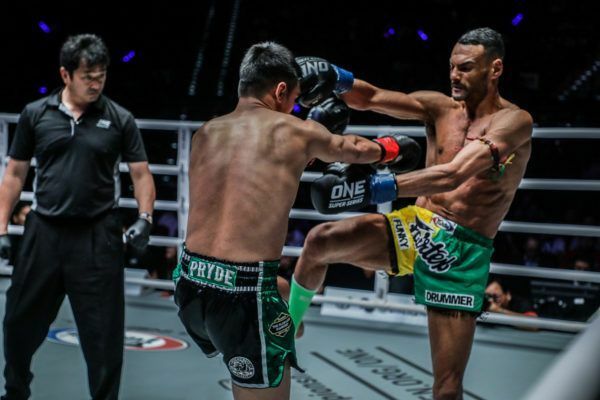 He may one of the premier names in the sport today, but the Muay Thai prodigy from Phatthalung province has had to walk a long road full of trials and tribulations to reach the top. At just 8 years old, Rodtang had his first Muay Thai bout at a local temple fair in one of Southern Thailand’s small villages. With barely two weeks of training under his belt, he won his debut, and then added eight more consecutive victories in short order. Rodtang’s early life was defined by his humble upbringing. His family owned a small plot of land that was just big enough to build a modest house for the family of 12. His parents would work every day at one of the many rubber tree farms that engulfed the area. Daily wages were not provided, and job security was a fantasy. Because of that, his mother and father’s only compensation depended on how much they could tap from the trees. Providing for the entire family was no easy task. The youngster saw the burden placed on his parents, and he was determined to help. After six years of making the rounds in Southern Thailand, picking up matches wherever he could to do his part, Rodtang embarked on a new journey. He traveled nearly a thousand kilometers to the country’s capital of Bangkok in search of better opportunities. Rodtang was scouted by the famed Jitmuangnon Gym in Northern Bangkok. The new environment was a far cry from what he was used to in Phatthalung. The training center was better equipped and included a full-sized ring to work in. It was light years away from his old gym with its two heavy bags and worn down pads. The sessions were also much harder, and he was required to practice for six hours a day. His demanding schedule, coupled with a life far from his home, placed tremendous pressure on the Southern Thai youth. Rodtang was far from the comfort of his parents and siblings, and he faced all these intense new situations while transitioning into adulthood. However, he was determined to make enough money to continue to support his family. Although he persevered, it did not come without a few scares along the way. There was a time when he fell short of his own expectations and reached a low point in his career. Defeats made it a lot harder to book more matches, and for the first time in his career, Rodtang was left without any prospects ahead of him. With nothing to work towards, the long, arduous training sessions became too much to bear. Despite the rough patch, here was still one man who saw potential in “The Iron Man” – the gym’s owner, Huan Jitmuangnon. He believed enough in Rodtang’s potential to get him back on the right track. “It was Mr. Huan who got me motivated to train again,” he admits. With a new sense of purpose, Rodtang hit the ring once more, and built his way back to the top. He went on to become a two-time Omnoi Stadium Champion. Just when things seemed to be going in his favor, he was hit by yet another tragedy when Huan died unexpectedly. For Rodtang and his training partners, Huan was like a father. His passing was not only an incredible loss for the young boys, but for the entire Muay Thai community. In addition to owning the camp, he was also a promoter at the famed Rajadamnern Stadium, and ran his own local stadium near the gym. Also, his passing left the gym in potentially dire straits. Unwilling to let Huan’s legacy be lost in vain, Rodtang stepped up to help his mentor’s wife – affectionately known as Mare Ae (Mother Ae) by the gym’s athletes – continue her late husband’s work. The team of athletes is now bound together, each doing their part to keep Jitmuangnon Gym operating smoothly. Rodtang has become one of the most popular names in Muay Thai thanks to his heavy hands, tenacity, and explosive style. As well as supporting his gym, his achievements have allowed him to look after his family. He has bought a house for his mother back in Phatthalung, and he vows to do more in the near future. At only 21 years of age, he has already amassed more than 300 bouts and won major titles in Thailand, but he will now get to embark on a new path in ONE Super Series. 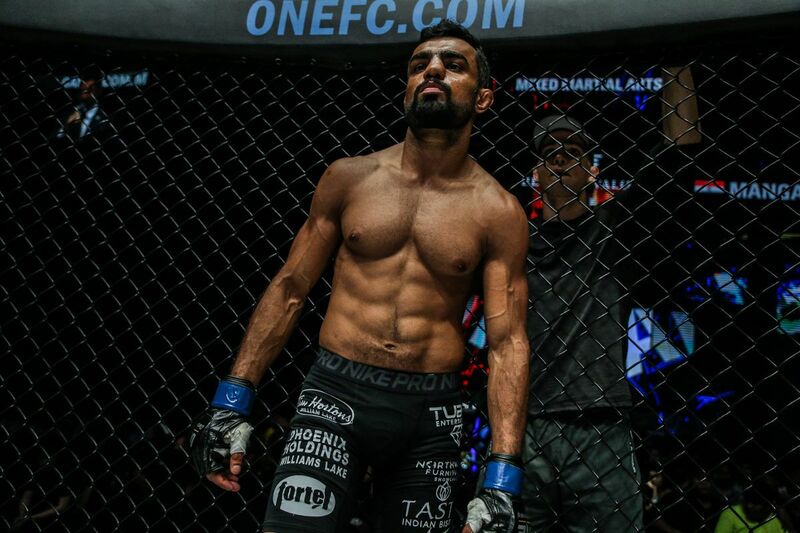 Come 22 September, the world will get to see his thrilling approach in the cage when he steps up to face Wielzen, a former ONE Super Series World Title challenger, and attempt to make his mark on the world. It was an incredible journey for the Muay Thai superstar to become one of the world's best. 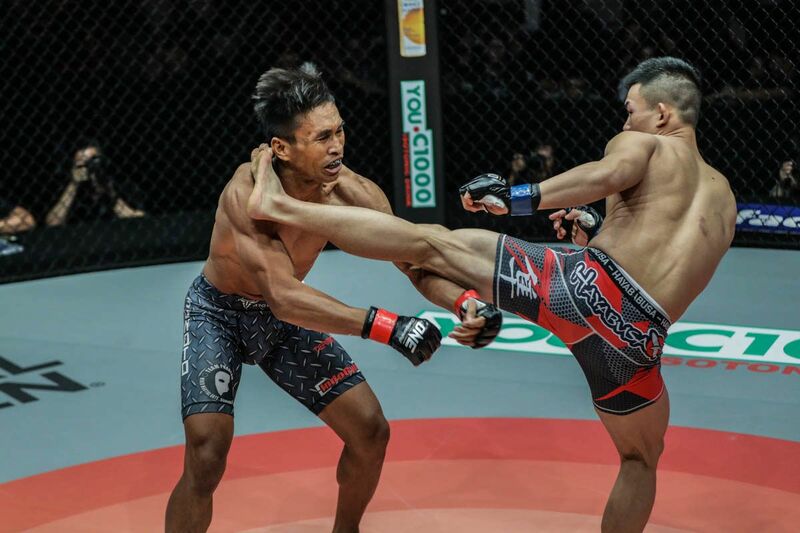 Here are four of the best knockouts from the martial arts heroes competing in Jakarta, Indonesia, on 22 September. 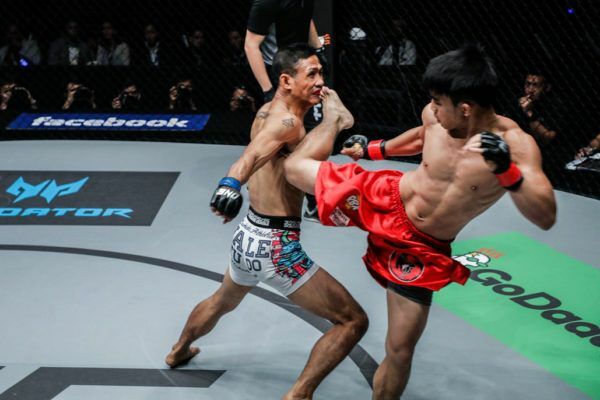 The Muay Thai ace expects to be able to find an opening, and finish Rodtang Jitmuangnon after an exciting ONE Super Series bout in Jakarta, Indonesia. “The Funky Drummer” will look for his opening to strike against the six-time Muay Thai World Champion in Jakarta, Indonesia.